I have sometimes felt on the outside looking in when I read Christian books or listen to sermon series on marriage. They often talk of godly masculine leadership with imagery that leaves me thinking that all godly husbands will be out front publicly leading their family. Of course, these sermons are usually given by men who are comfortable standing in front of hundreds or thousands of people at a time. No wonder most of their illustrations reflect men out front in public settings. Frankly, many more people know me in the larger Body of Christ than know my husband. I am sensitive at times – people are going to think that I “wear the pants in the family,” that I set the agenda in our family, that my husband is marginalized in a corner of our home while I pull the strings. No one who knows us personally thinks that, but I did hear once that a church staff member gossiped that we had moved on to a different church because my husband “lost control” of his wife. That seriously ticked me off. First, it was blatantly untrue in terms of the circumstances that caused us to move on. But second, who uses that kind of terminology?! The idea of Biblical submission is starkly different than control. Does anyone in the conservative church actually advocate that husbands “control” their wives? Ugh. I certainly hope not. Nevertheless, there seems to be a large segment of the Christian population that has little understanding of the value of quiet men in the Christian home, and I am grieved over the pressure they put on homes consisting of extrovert wives and introvert husbands. There’s a new book that I appreciate called Quiet: The Power of Introverts in a World That Can’t Stop Talking. It is nice to see a larger movement afoot toward valuing the quiet person. But no one has ever had to talk me into valuing my husband. My dad was a man who did not say much, but what he did say was worth hearing. I recognized that quality in my husband very early on in our relationship. As someone who does say a lot, his ability to sit back, observe, and boil down a boat load of wisdom in one sentence attracted me even before our first date. I have only become increasingly in awe of his discernment as we have grown older together. In all avenues of life, he is a quiet man of influence. He also respects me and values my opinion. Because I well respect him, his respect of me means that much more to me. It’s too bad that the larger evangelical movement seems to value loud, upfront leadership as a more masculine trait. I’m concerned that the result is that strong women who want a godly husband may not recognize the power and wisdom of the quiet guy observing the group from the sidelines. We mistakenly think he is not a player, not recognizing the God-given qualities that make him, not a player, but the more dignified role of a coach or referee. In a world of noise and a church of noise, it is good to value quiet men (and women) who observe well before they speak, and speak few words when they are ready to contribute. The church is wise to listen to their input. Proverbs 10:19 When words are many, transgression is not lacking, but whoever restrains his lips is prudent. I too have a “quiet” husband and from what I gather from your posts, I have a personality more like yours. I so value my husband… He doesn't speak unless he truly has something to say and like your husband it's usually one sentence full of incredible wisdom! He's a true leader.. I admire him and respect him. We are blessed indeed Wendy. My husband's motto is “words are over-rated.” He is an excellent leader because he is a willing follower and is willing to listen before he talks. I do talk a lot more than he does, but when he speaks, it's worth listening to. I have a quiet husband…and I loved that book, too! 🙂 I agree, that many people misunderstand quiet leaders. I so appreciate that my husband can take time to quietly sit back and evaluate before jumping into situations. Hi Wendy, I too have a quiet husband – which I always say is just as well because I couldn't live with me 😉 I am much more well known than him in church circles here and frequently I'm concerned that people assume that I am somehow “the boss”. I have such deep respect for him and his quiet leadership. I especially love seeing him as a Christian Dad who is able (usually!) to calm his boys and show them tenderness in a world that shows young males so little of that. He support my more “upfront” areas of service while showing a steadfastness & faithfulness in his own areas of service that are also underrated. I am truly blessed with my quiet man. I'm away to see if I can order the book you recommended here in the UK! Thank you for this Wendy. The loud-mouths who unfortunately seem to populate the pulpits have done a good job of beating down both men and women. For the men, they have laid on them tremendous burdens of guilt and a sense of inadequacy, while at the same time creating false expectations as well as an extremely unrealsitic sense of entitlement. It is a sort of spiritual sado-masochistic relationship, with the victims returning week after week for their dose of abuse, while feeling guilty if they are not giving their abuser at least 10 percent of their paychecks. 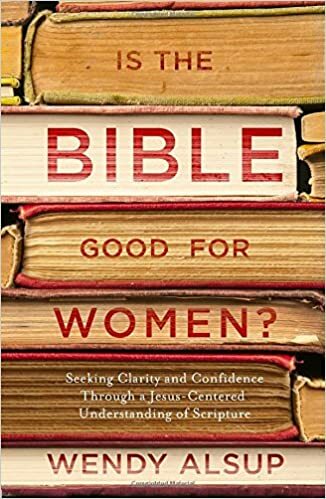 Also, I think some church's understanding of “quiet” men and “loud” women is influenced by their interpretation of Gen 3:16 – that in the fall, it became women's desire to dominant their husbands. Thus, a quiet (read: passive) man and a gregarious (read: controlling) woman are symptoms of the fall. That leads them to dismiss personality traits that are God given. I had a quiet father and my youngest brother is quiet. I enjoyed their patience with my children. I was quiet until I married my husband. On our first date I asked him one question and he talked all the rest of the night. I thought it was relaxing to go out with him as I didn't have to try to carry on a conversation. But after we were married for 2 years he asked me to express my opinions. I worked at it and now he is sorry he asked! Good analysis, Amber. I agree. I agree. It's a disregard of God's beautiful complex creation to pigeonhole men and women like this. I LOVE and NEED my husband's quiet temperate personality and he tells me every day how much he loves that I am the way that I am and how good we are together and how grateful we both are for what God has done in our marriage. I think both myself and my husband have found this to be true. For so long he didn't feel confident to pray in public because he wasn't good at praying. I thought I was because I had all the flowing descriptive words like the church leaders. After awhile I came to realise – my words were often habitual, showy sermons disguised as prayer, whereas his halting, simple, short prayers were sincere and heartfelt. I pray very differently now – I still am more verbose, but I've come to use those same long pauses that had me feeling impatient in the beginning, to be sure I am being genuine. That's just one of many ways I am learning from the head introvert in our family. We do ourselves and those around us such a great disservice by not valuing the way these people do things. That book is on my wish list! Wendy, I've been a Christian schoolteacher for 32 years, and every time we go somewhere locally there are people who recognize and know me. Fortunately my husband is not insecure about this. (He did tell me one time, “Don't use your teacher voice with me.”) 🙂 When we were first married I did not recognize the gift of his quietness. It seemed like weakness to me. But as I learned to respect him in all situations – sometimes by act of will – my appreciation of his quietness grew. And now I see him respected by others, including extended family, because they know he's not a hothead and that he will only speak when he has wisdom to share. What a gift!! Thank you for a perceptive article that has hit an area that has not really been addressed. I'd like to get that book. Thank you very much for that. My husband is really a combo, but I am definitely an introvert who has felt much pressure to fit into an extrovert world, and look forward to reading that book. Hi Erika, I am with someone right now who also does not say much. He’s quite shy as well. How do you deal with it? especially when you introduce him to new people? how do you feel when you bring him to social gatherings? are you always concerned for him that he won’t be able to fit in well? Was this a struggle/burden for you before considering committing to him? Such good thoughts and wise words in this post. What people 'see' from the outside of a marriage is seldom anything like the reality. And in our house, like a previous comment said, I wouldn't like to live with me … and the children would probably never have learnt to talk had there been two of my husband! Thanks once again for a very pertinent article. My husband and I this past Sunday just left our church over this exact issue. We are not quitters. We have been married 32 years and this is the first time we have ever left a church, ever due to anything besides a move to a new state. A new young pastor came in, filled the pulpit and immediately commenced to let us know we did not have the right kind of marriage- out front husband, quiet demure wife. Pray for us. We are sad to leave our church of 17 years. can I just say that I love this! We should value the PEOPLE (men and women) who are quieter. Often when they do say something it is very worth hearing. Verbal processors may say things worth hearing too but it can be easy for what we say to get lost in our many words. bell curve, but I'm slightly more extroverted than he is. That doesn't mean he needs to change to be more “leaderly;” rather it teaches me the value of listening to him. I'll pray for that young pastor too. Consider staying and praying for him. I think there is a difference between being quiet and being respectful. Maybe he meant to say loving husband and respectful wife! Thank you, that's exactly our dynamic too. I have often wondered if people perceive us the way you describe the old church talking about you. I am going to order this so I can grow in appreciation of his personality! Thankyou for your words of wisdom! I have been struggling with the quietness of my fiance for a while now. I feel terrible that I wish he were more outgoing etc, however when I stop and listen to him, he has such wise words and a steadfastness about him that is often missing in more outgoing loud personalities. He said to me the other day, 'Why is it that people only look for the outgoing-natured people and disregard the God-given traits like loyalty, humility and steadfastness?' That really got me thinking of how we as a society place more importance on the outward appearance, whereas God looks at the heart. Hello, I am with someone right now who also does not say much. He’s quite shy as well. How do you deal with it? especially when you introduce him to new people? how do you feel when you bring him to social gatherings? are you always concerned for him that he won’t be able to fit in well? Was this a struggle/burden for you before considering committing to him? So timely for me… I wish everyone on earth would read this article. My husband and I just left a church that we kept struggling to feel connected to (after four years!) as a couple. As we left, our pastor's wife made sure to communicate that they think my husband probably isn't a Christian because of his prolonged struggles with PTSD after a deployment, and that it must be hard for him to be my husband because I'm such a strong person. She offered no examples of specific ways they think I have cut him down or anything, just affirming that I'm, you know, so intimidating. I think they meant I'm more articulate than him… This is NOT the same as “strength,” and perhaps I come across this way because I'm not the one exhausted from nightmares about combat all the time? Ugh. Being a quieter (or more articulate) person isn't a bad thing at all, and I think my husband is the strongest man I know – it's why I married him! – he's just not that talkative at church. I'm married to a quiet, strong, Godly man. I appreciate this post so very much! This hurts to read. This is effecting us in two ways right now. My quiet husband comes across as boring to most people. He lets it damages his self-concept. Also, I am hurt that my church family doesn't see his value.